A Great-Tasting Way To Get Your Daily Vitamins While You Hydrate! EcoDrink Naturals is an ideal way to ensure your body gets essential nutrients, vitamins and minerals it needs to maintain good health. 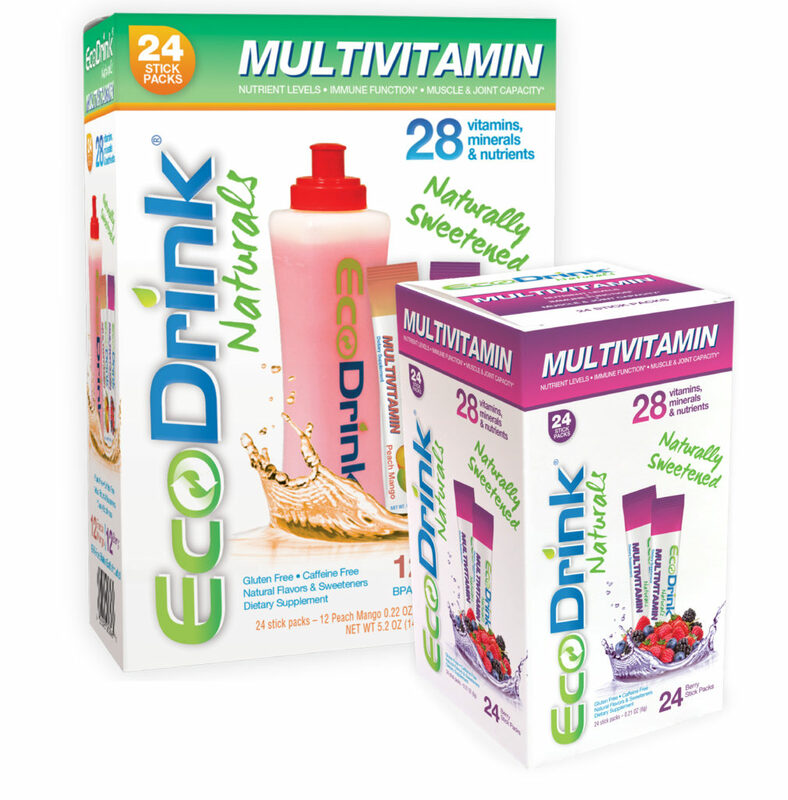 Just add one packet of EcoDrink Naturals to 16oz of water for a tasty and hydrating drink. 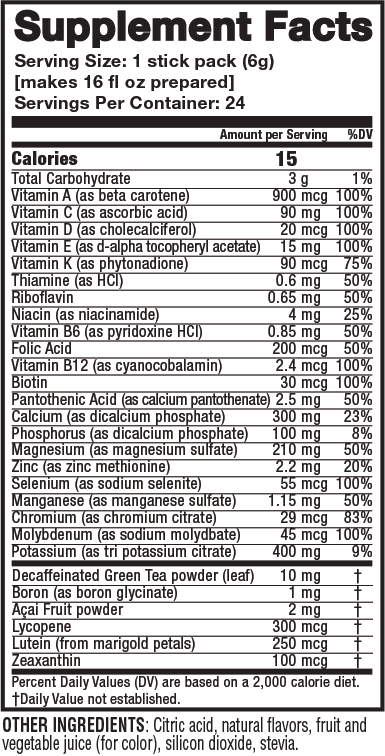 This multivitamin is naturally sweetened with high quality stevia; no artificial sweeteners or added sugars. 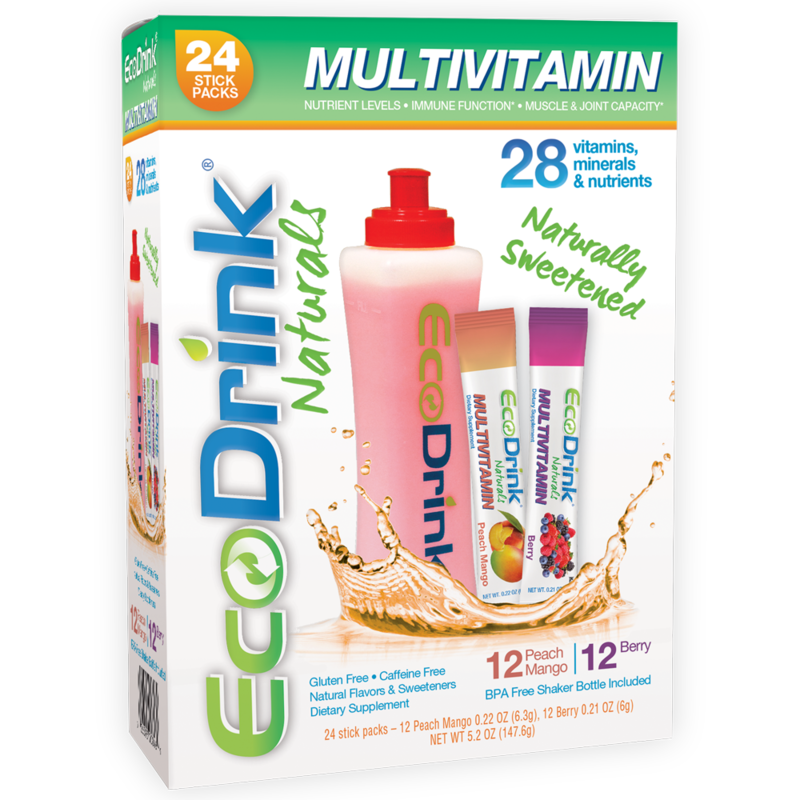 The EcoDrink Naturals Variety Pack contains a BPA-free reusable water bottle as well as 12 packets each of Berry and Peach Mango flavored product. It's the perfect way to start your EcoDrink journey! With 4 delicious flavors to choose from, it will be hard to choose a favorite. Peach Mango, Berry, Fruit Punch or Strawberry Lemonade. How do I use Ecodrink Naturals? Add one stick packet (or recommended amount) to 16oz of water. Shake or stir until completely dissolved into water. Enjoy! 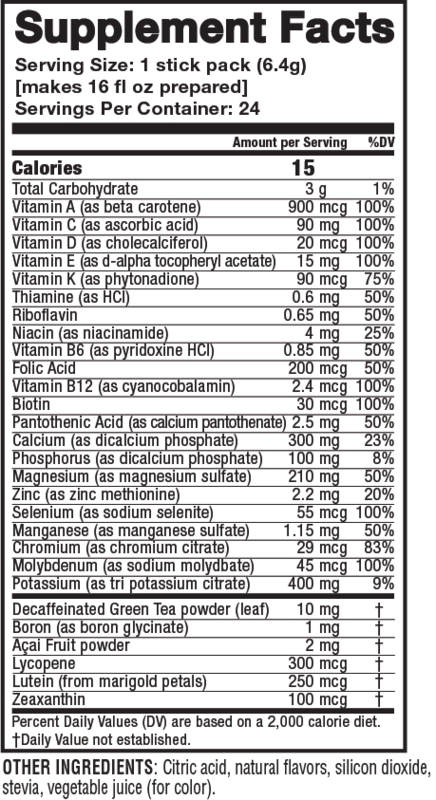 What ages can use EcoDrink Naturals? We recommend this product for ages 4 and up. Ages 4 to 13, use one half of a packet daily. Ages 14 and up, use one packet daily. Do not exceed suggested dose. Can this product act as an electrolyte replacement? While it does have electrolytes in it, this product is a multivitamin with a well-rounded assortment of essential nutrients, vitamins and minerals. 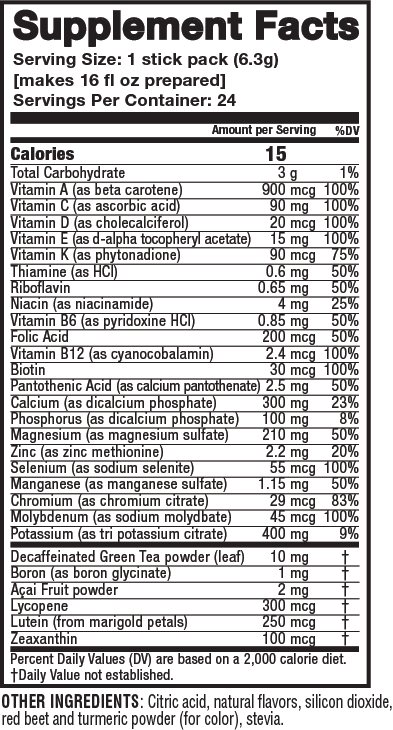 Why did you use stevia to sweeten the product? We use a high-quality Stevia that has no detectable after-taste to help make EcoDrink Naturals have a nice, pleasant taste. It also helps keep our sugar content at Og.